Yes, white headphones are a style of their own. Apple made lack of color famous with white headphones, starting with the iPod. Seeing someone parade down the street with a pair of slick white headphones indicated individuality and a seriousness for refined taste and class. White headphones previously noted a way to be different. Some may still try to make that argument, but with millions of iPhones sold every quarter, seeing a white pair of headphones is hardly unique. 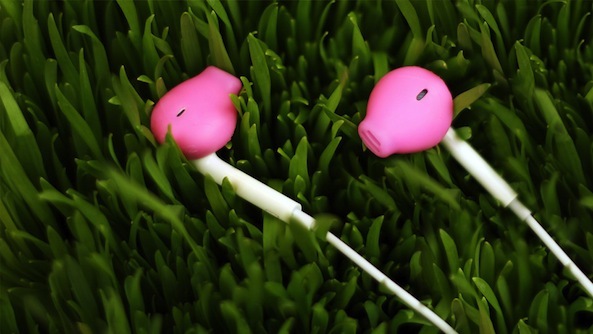 EarSkinz is adding a flash of color to everyone’s otherwise plain EarPods. The ES2‘s are designed to specifically hug the new Apple EarPod with form fitting fashion. Arguing the covers provide better comfort, fit, and sound, EarSkinz successfully received KickStarter funding to produce a full production line of their new pod covers. Over 18 months, EarSkinz developed the ES2’s to stabilize the in-ear experience. Many users push their Apple provided EarPods away in favor of other more enhanced options. Whether those perceived enhancements are comfort, fit, or clarity, the ES2’s address all of those qualities, but without the cost of replacing the whole unit. Reverse engineering the EarPod design, the silicon tips are a guaranteed perfect fit. When putting them on, I was actually worried there was not enough room to slide the pod in place. However, once I got the right angle, the ES2’s installed easily. Make sure when they are in position, the side grill on the pod is exposed with the cut away silicone, which you can see in the photo below. 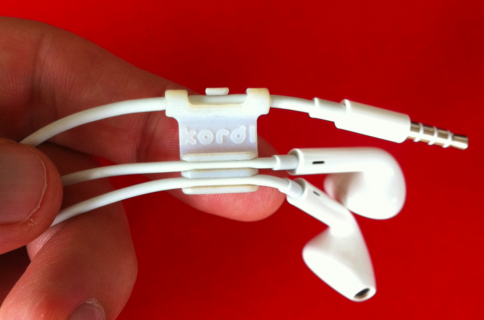 As co-founder Jon Kurtz states, EarSkinz makes music comfortable. I can vouch for his claims, especially if you have larger ear canals. Where the ES2’s really began to shine was in the gym. 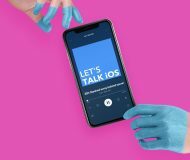 I spent some time running on a machine in the gym listening to our iDB podcast, Let’s Talk Jailbreak. Normally, a standard pair of pods would simply fall from my ears or the sweat would cause them to slide out. However, with the ES2’s, I had no trouble keeping them in place and protected from corrosive sweat that can damage headphones over extended periods. I not only spent time with them in the gym, but also working in the yard, talking on the phone, and, of course, listening to music. I must be honest here, I did not expect the Skinz to enhance audio playback and I am not sure they did. In their Kickstarter video the team claims the original goal was for comfort and fit, sound quality came as an added bonus. Okay, maybe there is a little bit of enhancement, considering the ear funnel channels music more directly into the ear. However, the reason to purchase the ES2’s would be more for their original application: wearability. Of course like all in-ear accessories, they will not fit everyone perfectly. After prolonged use, I had a slight discomfort in my ear, which is standard for me when listening to some buds. However, making a small adjustment, they became comfortable again in my ear. Other than a minor complaint, these are a great companion accessory for the pods. At $10.95, I argue these are an easy purchase. If you are bothered by standard pods falling out of your ear all the time or there is a comfort complaint with non-pliable plastic, buy the ES2’s. 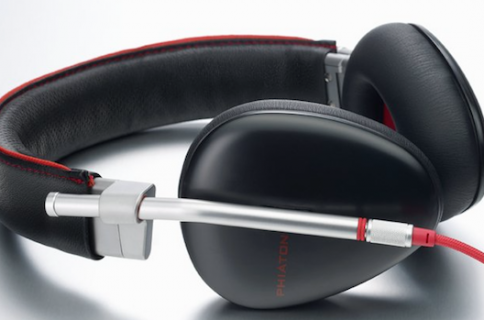 If you need that extra pop of color or prefer your headphones to match every outfit, buy the ES2’s. If you prefer a half-in earbud experience, definitely buy a pair of ES2’s. If you are looking for $200 sound from your Apple EarPods, these tips are not going to make up the difference. 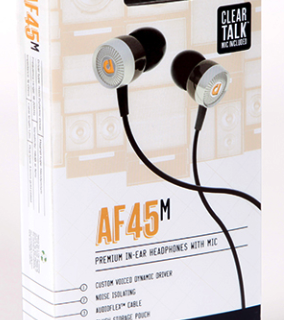 But, if you are looking for a small upgrade on sound with added functionality, look no further. The ES2‘s are made specifically for use with Apple’s OEM EarPods and come in 11 colors. If you are interested, the ES1 tip is made for the original Apple headphone. Comment below: Don’t forget to put your Twitter handle in the comment! What is your favorite EarSkinz color? Thanks again to Jon at EarSkinz for hooking us up with a solid giveaway for the readers! We look forward to selecting a winner by week’s end. You will be contacted via Twitter DM if you have won. Congratulations to our five winners @CamEasley, @BangalisoundZ, @Rick5up, @GadgetQueenn, and @mkbomb! They have all been contacted via Twitter DM to follow up on the claim process. Thanks again to EarSkinz for the opportunity and look forward to more giveaways over the coming weeks!